Broadcast engineering consultant Indian limited BECIL published the official recruitment notifications for inviting online application form for various category of the post. Notification is published for filling 42 posts of senior monitor, monitor and other category of the post. Selected candidates will be appointed on contract basis. Last date of application form submission is 15 September 2017. How to apply: all eligible candidates can fill application form in prescribed application form format which is BECIL. 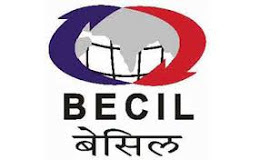 Application form may be obtained from BECIL Corporate Office or Downloaded from BECIL website.